In Episode 1 we heard from Mass Liberation organizer Akeem Sims. During his story he talked about his experience and work with The Participatory Defense Hub. That conversation didn’t make it into the first episode– so we are sharing it now! Every Thursday from 6-8pm in West Philadelphia at 4901 Kingsessing Ave. this group meets to help people facing charges, their families, and communities to impacted. 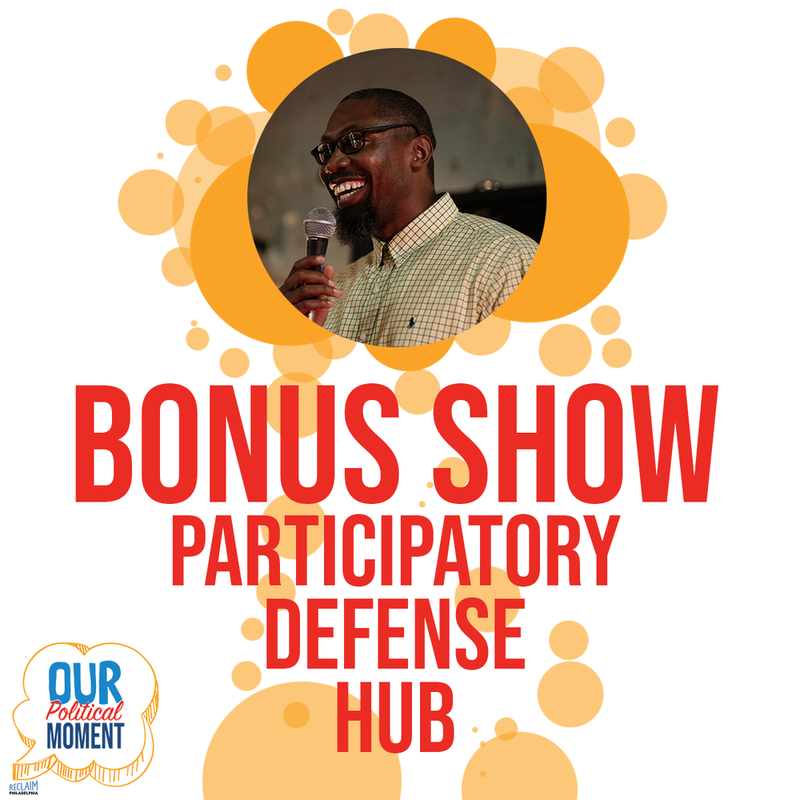 To explain what the Participatory Defense Hub does let’s listen to Akeem explain the power of organizing people! Reclaim Philadelphia’s Mass Liberation Campaign has a lot of important work happening across the city. To find out more information on The Participatory Defense Hub or get involved go to participatorydefense.org. On 4/8/2018 make sure to attend Judge the Judges– A Judicial Forum hosted by the Judge Accountability Table where you can hear directly from candidates to help make informed decisions on which candidates align with your values. There will be 7 vacancies in the Philadelphia Courts up for election, make sure your voice is heard. The doors open tonight at 5:30 pm at the friend center 1501 Cherry St.
Mass Liberation Campaign is also pushing our listeners to support the Dignity Act discussed in our last episode. You can sign the petition HERE to let Pennsylvania legislators know that you support women who are currently or formerly incarcerated and that they deserve to be treated with dignity. We are trying to collect as many signatures as possible before June. Stay connected through facebook, instagram and twitter on more upcoming ways to support the Dignity Act.